Now it might have been good to know that you can find this amazing card brand in selected Paperchase stores, Liberty and Papersmiths before I spent more on import duties than I did on the actual cards, but honestly I can say that they were worth every penny. They are SO vibrant, your screen is not doing these cards justice - I’ve never quite seen printed colours like them. It’s like sending a rainbow through the post. Michele Lee is the designer behind these letterpress cards produced in New Jersey and her mission was ‘to create general happiness for all’. I’d say job well done Michele! She also designs pins, patches and keyrings, helping to spread that happiness a little further. Shop a selection online in the UK here, or for the full collection visit the Lucky Horse Press website. Kate and Bobby are the husband and wife team behind Telegramme, one of my favourite design studios. They might start to think I’m stalking them as I also moved from Crouch End to Margate last year, but this was before I knew they had made the move to the seaside too. HONEST. Their mid-century Americana inspired designs are a pop of happy through the post. I’d highly recommend their Essential Greetings Card Supply Box, which should set you up for any last-minute card emergencies you might have. Telegramme are also just about to expand their personalisation offering, so keep your eyes peeled for more information on their website. 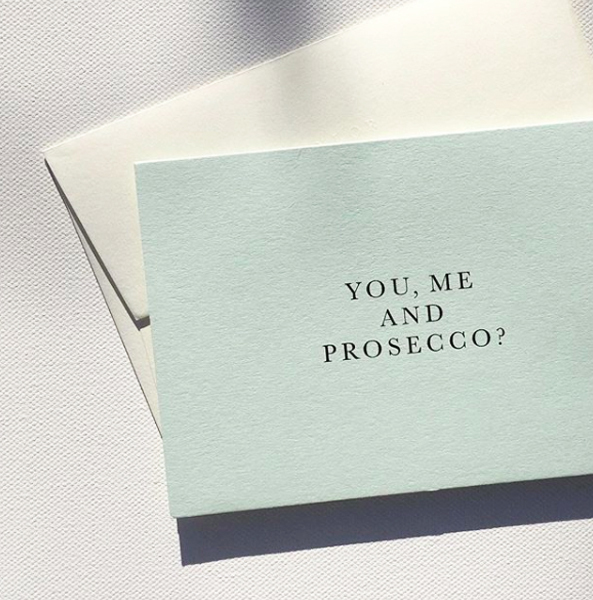 In the meantime, shop Telegramme's cards here. When my mum sent me a concertinaed pineapple through the post for my birthday this year, I should’ve known that it was Meri Meri who were behind this genius concept. 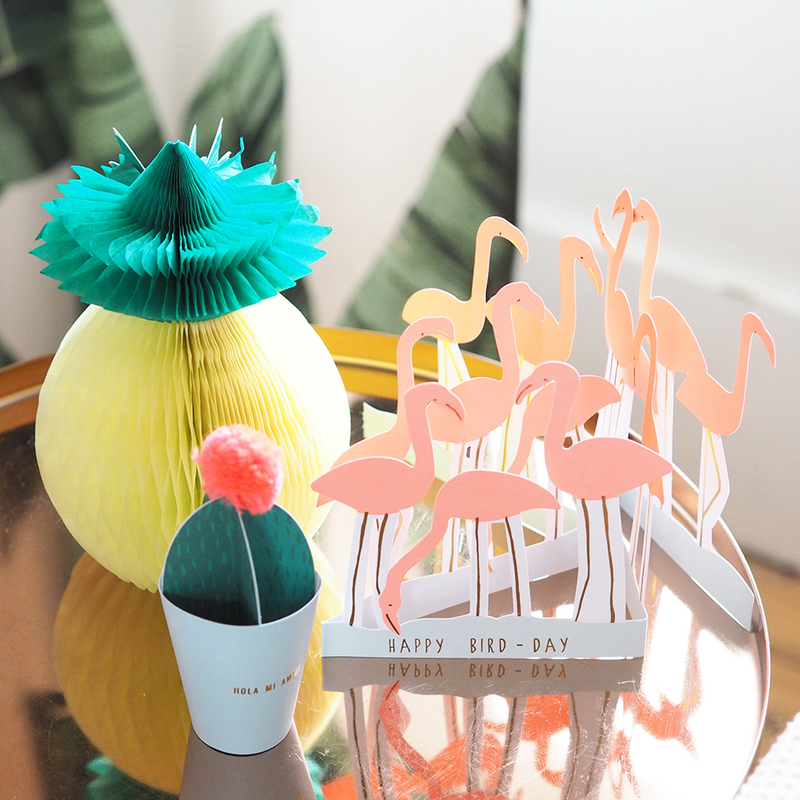 You can also send a birthday cake, flock of Flamingos and a cactus in its very own plant pot, all in the form of greetings cards! I’ve been a big fan of their party supplies for years, however their card collection hadn’t been on my radar - until now! They have all kinds of fun and imaginative greetings for all kinds of occasions. One of my other favourites has to be the superhero card for girls, complete with its very own mask. These are anything but average. Shop here. When I first laid eyes on the card that simply said ‘Brunch?’ I knew Meylor was a new card brand I needed in my life. The answer, by the way, is ALWAYS! I always have time for brunch. Simple yet elegant, these card designs make me appear much more sophisticated than I actually am to the receiver, so thank you, Meylor. They also offer beautiful watercolour designs in both cards and prints - I especially love their ‘Live Life the LA Way’ design, which is really affordable too. Add a touch of class to your emergency card drawer here. Founded in 2012 by Katie Wagstaff, Oh Squirrel offers a wide range of stationery and gifts inspired by vintage photographs, botanical imagery and retro fabric. My personal favourites are the hand stitched postcards with pressed flowers inside them. You can choose from a selection of phrases or, for a small price, have something completely bespoke created for you. Now that’s what I call service! New this month are botanical postcards with motivational phrases, so you can now send your very own floral cheerleader to friends that need it the most! Shop Here. I met À L’aise founder Suzie over two years ago when she was debuting at Top Drawer and remember getting quite hysterical about her collection (I know, really doesn’t sound like me, so calm and collected the rest of the time). The designs are sophisticated yet have a subtle wit about them, and the quality makes it feel like a little slice of luxury dropping on your doormat. Since we met in 2015, Suzie has been busy in her London workshop introducing calligraphy workshops, leather goods and a small collection of wrapping and prints to the À L’aise brand. Shop here. Since writing this post I have remembered I have a lot more card brands I love, and my baby brain neglected to include them....so watch this space for part two coming soon.